Random draw doubles. Entry is $3 with $1 going to the course improvement fund. Entry for CTP and ace funds is $1. 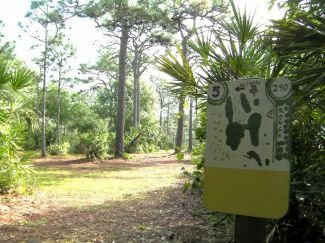 Description: On native Pine and Palmetto barren. Very tight - accuracy a must. Local Directions: I-95: Malabar Rd. exit (#173). Go east towards US Hwy 1 to the course across from the Fire Station.